It has been now exactly 2 years since I’ve launched FLUTEinWIEN and I’m extremely happy to celebrate with you this day. During this time I had the possibility to help other flutists with their difficulties, working with dozens of flutists in my intensive masterclasses in person and reaching to thousands of flutists all around the world with my articles on the blog and in various flute magazines. I’ve decided to dedicate this article to your playing habits and for the occasion of the 2 years anniversary celebrations to hand you a FREE GIFT (limited to the first 50 flutists) that will hopefully start a process of changing those habits you currently have (you’ll find it down this page). 🔄 What are habits and how we create them while practicing? A habit is a routine of behavior that is repeated regularly and tends to occur subconsciously. While practicing, one of the most important things we do is to form our playing habits – we perfect our muscles actions through repetitions to the point that they would happen subconsciously and effortlessly. Every day as you are practicing you are forming your habits – some you practice very consciously and intentionally and unfortunately, many are unconscious and you are not aware at all that you are forming them. Very common habits of this sort would be the way you use your lips, the way you use your air, your posture, the way you move while playing, the way you use your fingers etc. In fact, every use of a different muscle can become either a positive habit that actually helps your playing or a negative habit that has a direct effect on the way you sound and play. ⛔ Can we avoid having bad habits at all from the first moment we start playing? I’m afraid the answer here is probably not. Most likely as a beginner you had a weekly lesson with the teacher, you were sent home to practice alone and you would meet the teacher only the following week. Therefore, the chances are that the beginner flutist will find ways to use his muscles to produce sound which are not necessarily going to have positive results in later stages. Young beginners would normally not have the patience needed to dedicate themselves to such work and the teachers would face the dilemma of how far they can insist, risking loosing the interest of the beginner. Therefore, negative habits are very likely to occur and develop, accompanying the player from the very early stages of learning an instrument. The good news though are that we can definitely change these habits and develop positive habits that will help us playing better. It is not an easy task to do, but, it can happen much quicker than what you imagine, with the right guidance and persistence. ✅ How can you change your habits? Most of the playing habits you wish/need to change are not some psychological behavioral habits, but rather motor muscles-controlled habits, which are much quicker to change. To start the change it is highly recommended that you would get help by a professional who can help you acquire the new positive habits – making sure as well that you do not concentrate on one habit and create another problematic new habit. In order to make the changes you´ll have to go through a process of recognizing the negative habit(s), learning new muscles movements and repeating those till they become your new habit. If you have read my article so far, I’m sure there are some habits you might be aware of or not that are currently limiting your playing and your progress. My gift to you is the possibility to start the change process by first recognizing together what might be the habit(s) you need to change – For FREE. All you have to do is to write your current symptoms – what happens when you play that you are not satisfied with? If you know precisely which difficulties and problems you have – write them down. The more you can describe what you deal with, the easier it will be for me to help you recognize the source of your problems. Your messages of course will be kept privately. This gift is limited for the first 50 flutists who will send their messages, so make sure you send your message as early as possible to be among these lucky 50 flutists who will start their habits change! (*) What are the difficulties you are currently dealing with? What aspects in your playing you feel you don't manage to improve? The more tell me about your situation, the more I can help. 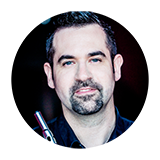 Ory Schneor is a principal flutist with the Munich Chamber Orchestra, Tongyeong Festival Orchestra and member of the Geneva Camerata. 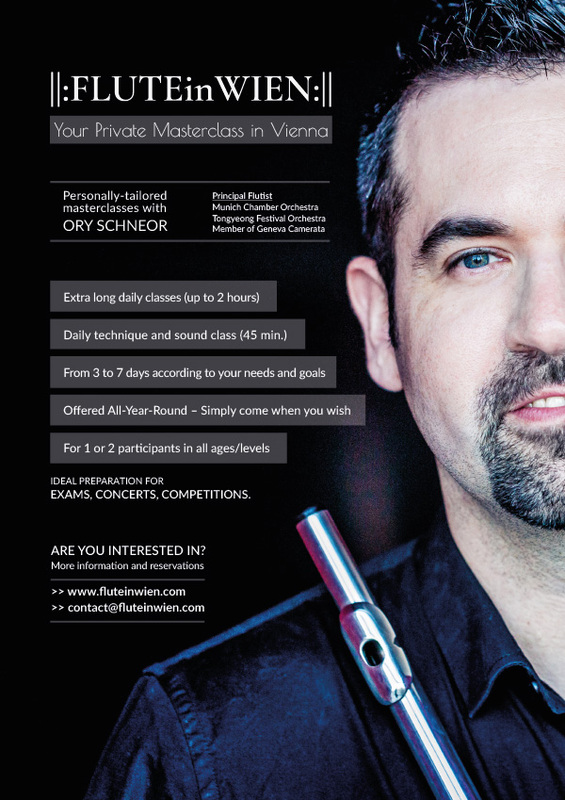 He is teaching masterclasses around the world and he is the founder and instructor at FLUTEinWIEN.